He is one of India’s best known economists. Bibek Debroy is also a member of the NITI Aayog, the think tank of the government of India. He chairs the Economic Advisory Committee of the prime minister. When not redrawing policy, Debroy spends time reading and writing on a range of topics. He has translated what some people believe is the best rendition of the Mahabharata, in ten volumes. His translations of the Ramayana, Bhagavad Gita and the Harivamsha, are also widely acclaimed. 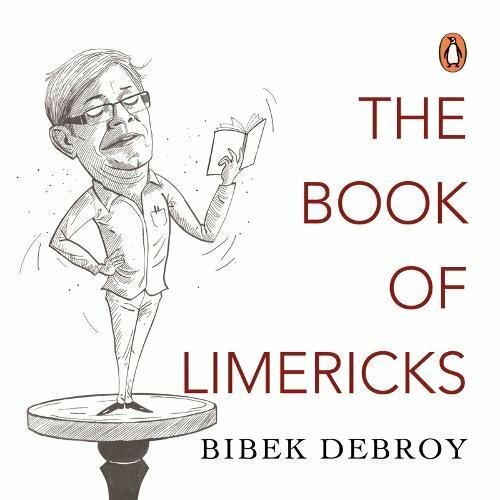 His most recent work is a compilation of witty verses based on current events, The Book of Limericks by Bibek Debroy is a brilliantly illustrated guide for anyone trying to understand what exactly happened last year. From economic issues to citizen concerns, these hilarious five-liners will take you on a roller coaster ride through the year 2017. From GST to Aadhaar, road renaming to anti-Romeo squads, and no-fly lists to Delhi pollution, noted economist Bibek Debroy explains with the help of limericks the key developments of 2017. After assuming power, the Yogi Adityanath government constituted the anti-Romeo squads to prevent eveteasing and provide a safe atmosphere for women. The anti-Romeo drive drew flak from gender activists who alleged police excesses and its adverse impact on autonomy and the right to make choices. The illustration along the limerick has a caricature of former CBI chief Ranjit Sinha, who is facing allegations of trying to influence the probe in the coal scam cases, standing near four other men. The no-fly list is also another topic of Debroy’s five- liners. The government has come out with a set of rules for the no fly to rein in unruly flyers and ensure the safety and security of passengers. “A fly in the ointment/ Cannot hide his disappointment,/With a no-fly list/How will he insist/On proving his privileged anointment? he says in the tiny book, published by Penguin. The limerick has a caricature of late president A P J Abdul Kalam after the Aurangzeb Road was renamed by the NDA government. Debroy has worked in academia, industry chambers, and for the government. He is the author of several books, papers, and articles. He has also published in Indology and translated (into English) the Vedas, the Puranas, the Upanishads and the Gita.